This valley is also home to many adventure sports and outdoor activities. There is always one brave soul paragliding in the vicinity, many rock climbers, and some rafters who are willing to battle to the freezing water tickling down from the Alps. 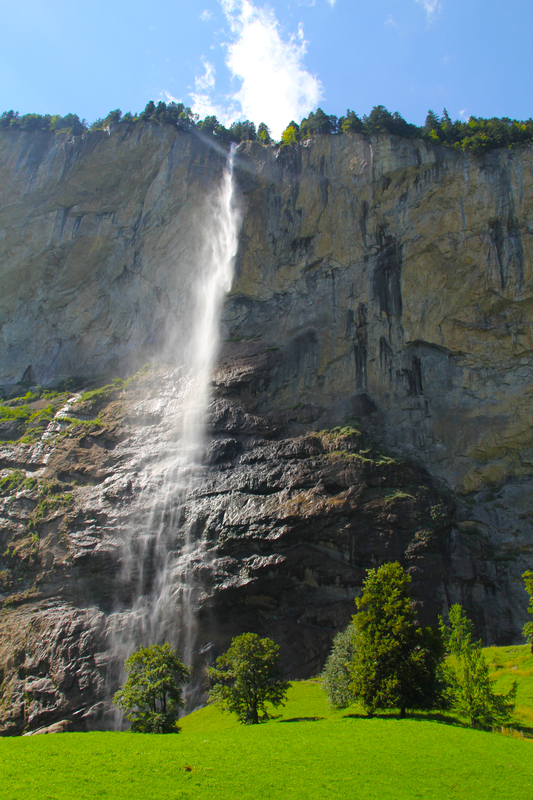 Lauterbrunnen also serves as the base for a day trip up to the Jungfrau mountain where you can see snow 365 days a year. Being Canadian, now that’s not something that particularly excites me. What does excite me is that a small hike in any direction will lead you to an exciting waterfall. My Aussie mate, Chris and I decided to make our way to Trummelbach underground falls. 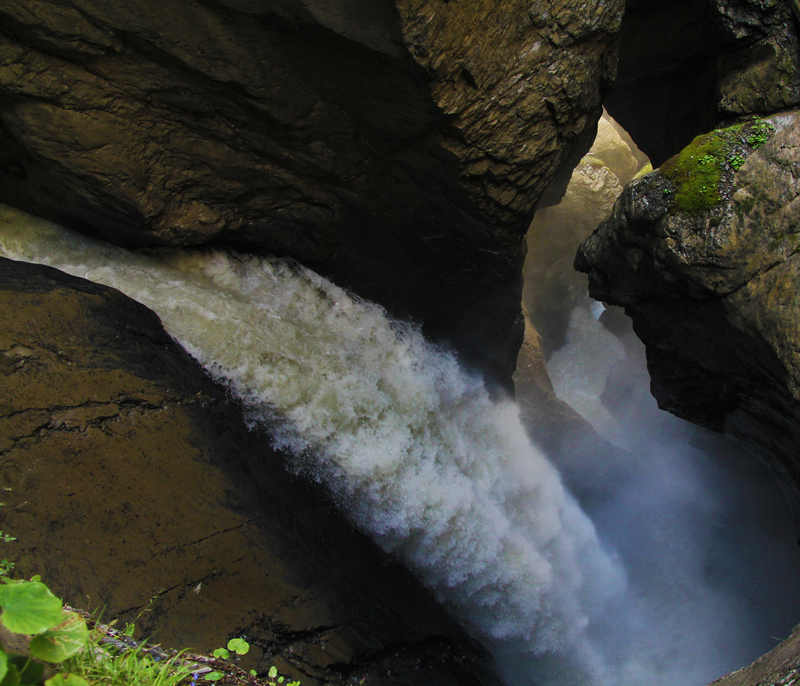 A 30 minute leisurely walk from our campsite led us to Trummelbach falls. We paid 11 Franc each as an entry fee to the park where these falls live. There are ten viewing points/paths you can undertake. We started off by taking an elevator up to the highest viewing platform and then trekked our way back down. On our walk to the falls, I was joking to Chris that we should go swimming in the stream where the falls flow. He warned me it would to be too cold to which I responded, “Pssstt, I am from Canada! I can handle cold water.” After we walked back down to the entrance of the park, we decided to grab a drink and sit next to the stream. To cool off our tired feet, we decided to put them in the water. Bad idea! Well… it was a good idea for half a second because after that they were getting numb! So lesson learnt: even though I am from Canada and used to the cold cottage country lake water, I can’t claim that Alpine water is my cup of tea.